Toby Starr is a partner and solicitor-advocate at Humphries Kerstetter with 22 years’ experience in difficult commercial disputes. Toby was a solicitor at Linklaters and Debevoise & Plimpton and founded Starr Legal in the City of London before joining Humphries Kerstetter in 2018. 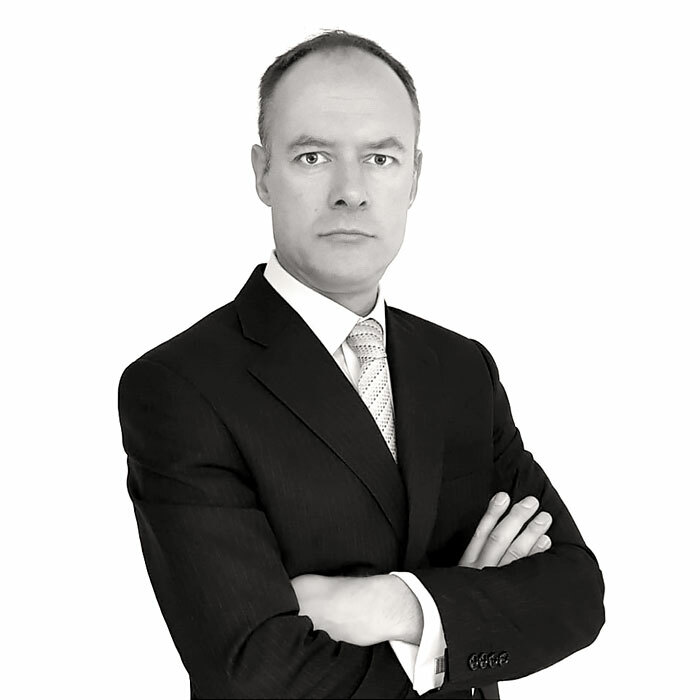 Toby’s work includes financial markets and finance litigation, energy and industrial arbitrations, corporate fraud investigations and board terminations as well as contract-based claims and defences in private equity, IT, motor racing, retail and distribution. He has extensive experience in particular in cases involving complex damages issues and procedurally in expedited arbitrations, interim measures and enforcement. Toby has appeared in interim and final hearings in domestic and international arbitration and the English High Court. 1993: The College of Law, Chester. 1992: B.A. (Hons), Cambridge University (Trinity Hall). English and basic German and Japanese. Solicitor-advocate on English Commercial Court action on ISDA derivatives contract for Brazilian bank client against US bank, settled. Solicitor-advocate on successful Commercial Court challenge on forum grounds for international consumer brand against distributor. Solicitor-advocate in High Court trial involving expectation damages. Lead on ad hoc arbitration in London over breach of exclusive supply agreement. Extensive disclosure exercise revealed egregious breaches. Settlement followed. Conspiracy to defraud between supermarket insiders and supplier. Issued claim form, without notice applications for freezing injunction and search orders. Orders granted, dawn raid, evidence obtained which led to swift resolution of case. UK High Court litigation and Swedish arbitration handled alongside Swedish counsel for international software company. Director’s breach of duty claim taken to successful High Court trial for substantial damages. Aspiring Formula 1 driver’s claim for substantial damages taken to High Court trial. Subsequent enforcement action recovered judgment debt and costs. ICC arbitration, partnership dispute and many other commercial claims through a variety of domestic and international legal systems settled. Breach of warranty claim for listed purchaser against individual shareholder-sellers of newly acquired subsidiary. High Court action settled at mediation after disclosure and witness statements. Dispute over rights to equity/payout on sale of business unit by major listed land group. Fraud claim against investment adviser settled for full value of claim and costs one day before High Court trial was to begin. F1 driver’s claim for injunction to prevent team giving 2015 race car to another driver. Interim and then full emergency arbitration in London under Swiss Rules. Successful award taken to Melbourne court in advance of first F1 of 2015 season. Case settled. Nigerian distributor’s Nigerian $350 million litigation challenged on basis of arbitration clause in contract; London arbitration then settled. Advisory work on many board and senior executive terminations. English law advice to claimant’s Swiss lawyers on Swiss arbitration against an F1 team. Advice on derivative claim for 24% shareholder. Acting for many companies and individuals in confidential arbitrations, mediations, settlement negotiations and internal investigations.